Official synopsis: In this spectacular action-adventure, the survival of mankind hangs in the balance as an unexpected mortal hero Bek [Brenton Thwaites] undertakes a thrilling journey to save the world and rescue his true love. 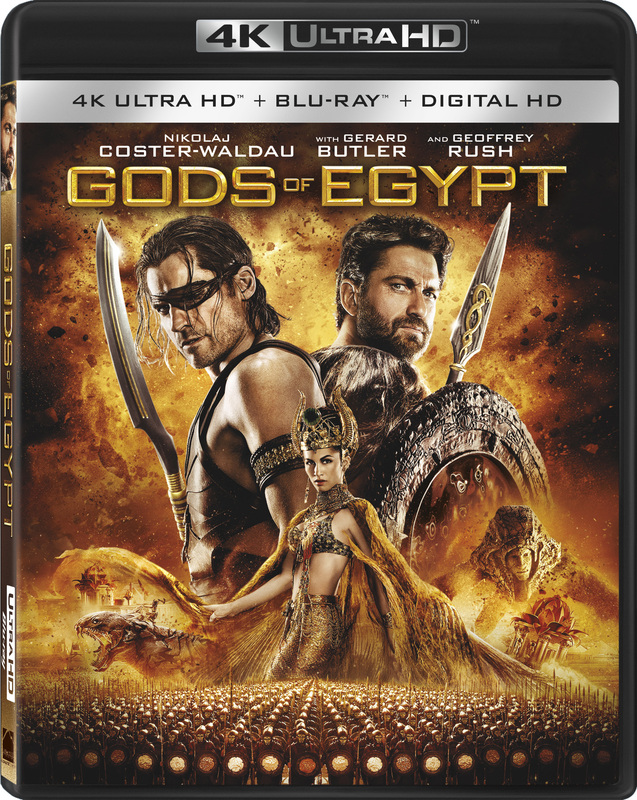 In order to succeed, he must enlist the help of the powerful god Horus [Nikolaj Coster-Waldau] in an unlikely alliance against Set [Gerard Butler], the merciless god of darkness, who has usurped Egypt's throne, plunging the once peaceful and prosperous empire into chaos and conflict. As their breathtaking battle against Set and his henchmen takes them into the afterlife and across the heavens, both god and mortal must pass tests of courage and sacrifice if they hope to prevail in the epic final confrontation. Wow what can I say except this is a must buy the DTS:X soundtrack adds so much to the film and the film looks amazing in Ultra HD. I wouldn't hesitate to recommend this film just for the sound and how it looks yes the story could be better BUT ha you can't have it all go get it .